Traffic cones and information signs are a fairly common sight on our roads, including when we’ve carried out work on Rochester’s bridges. For many they are an annoyance, for the people working on the site – and for many of those annoyed travellers too – they are important safety measures. The Trust’s main objective is to provide and maintain crossings over the River Medway at Rochester, with the bridges being a vital link for both vehicles and pedestrians in Medway, the South East and beyond. Another of the Trust’s objectives is safety. Keeping the bridges fully open at all times is the ideal, however all structures require periodic maintenance as components wear out, cleaning is needed or items require upgrading. When such works are carried out it is important to ensure everyone involved is safe and so achieving both of the Trust’s objectives takes a lot of careful planning. 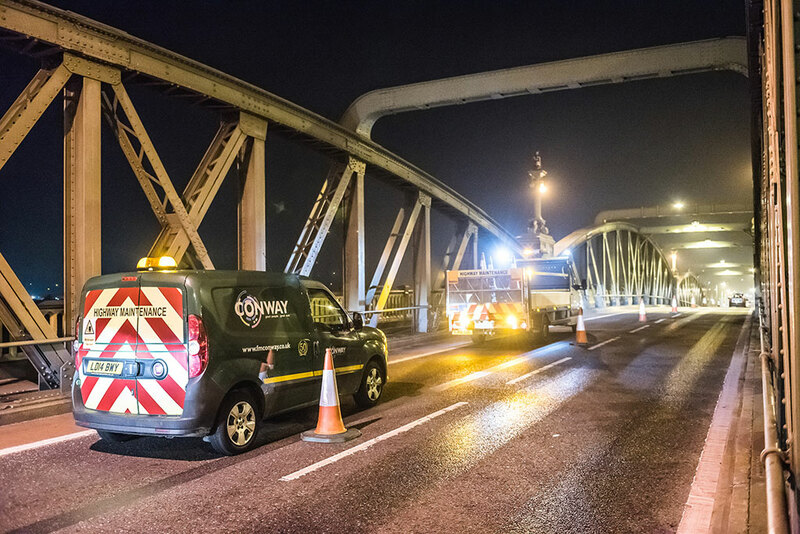 By using cones, signs, and temporary traffic lights to close individual lanes, cycle paths or footways, we aim to keep as much of the bridges open as possible while providing enough space for work to take place and ensuring the risks are minimal. This is the reason you’ll sometimes see an empty coned off area – follow the cones along a little and the work will be taking place. By closing a lane of traffic slightly ahead of the site in question we are giving motorists the time to slow down or filter into a different lane, and providing an area of space between the people walking around the site and the larger, faster moving vehicles passing by. Such traffic management is also used on footways and cycle paths because we want to keep all bridge users and our workers safe. For example, there may be work going on at height, or machinery being used, any activities that could put people in danger must be closed off to protect the public from injury and our workers from distraction. In such cases pedestrians will be guided to a different, safer route – most likely on the opposite bridge. Speed limits may also be implemented, so that narrow lanes or unfamiliar routes can be navigated more safely, reducing the risk of collisions. 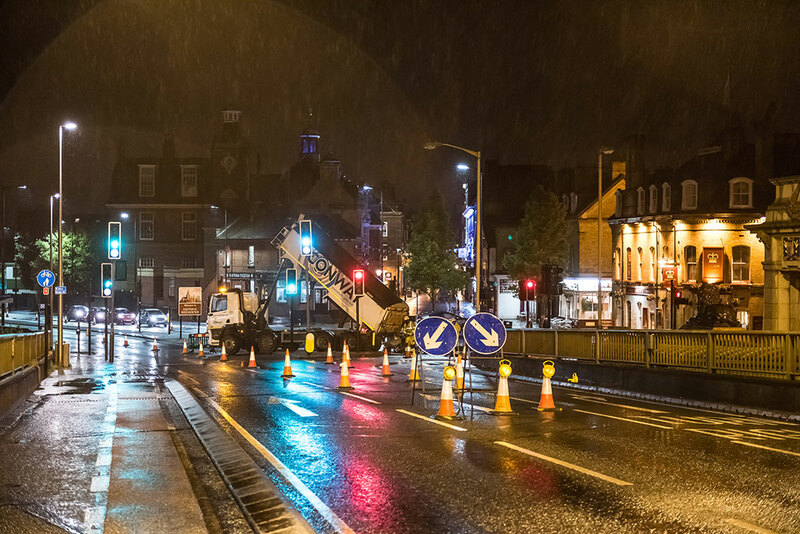 For the Rochester Bridges Refurbishment Project we have grouped works together, phasing them so that traffic management can also be carried out in stages. This should ensure disruption is kept to a minimum. We will also be updating this website with details of planned lane closures, giving people time to prepare for any potential delays. In summary, if you see we’ve put cones on any area of the bridges you can be sure we are working to keep all bridge users safe, and the rest of the crossings open.